Professor Astro Cat’s Solar System is up for a Webby Award! Our good friends at Minilab Studios have been nominated for a prestigious Webby Award! 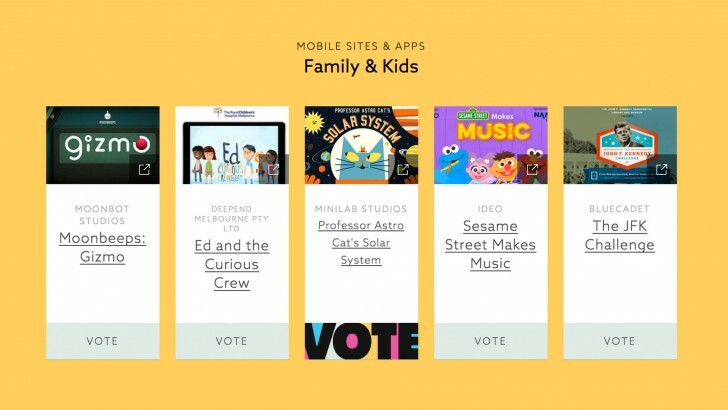 Whilst it’s already a huge honour to be counted amongst the top 5 apps within the Family & Kids category, they need your help to win the People’s Choice award! Voting takes less than 30 secs and you can VOTE HERE and help spread the word by sharing with friends, family & social media followers!